Over 90 percent of Thailand's natural rubber and products made from rubber are exported to overseas markets. The country's dependence on the world market means the industry is sensitive to price fluctuations in international trade, which in turn, is influenced by the prevailing global demand for natural rubber. Strong competition from other major natural rubber producing countries, like Malaysia and Indonesia, and climatic conditions are also important factors that significantly affect the rubber industry in Thailand. At present, the global market situation is favorable to Thai latex concentrate producers as the global demand for natural rubber products continues to grow. Malaysia, having significantly reduced its own natural rubber production, is now importing latex concentrate from Thailand for manufacturing of rubber products. Thai Rubber Latex Corporation's remarkable success over the years can be attributed to our long experience, unparalleled expertise and strategic planning, enabling us to thrive even in the worst economic situation. Our most important asset is our workforce. We value above all the professional operating methods of our management team and well trained staff. 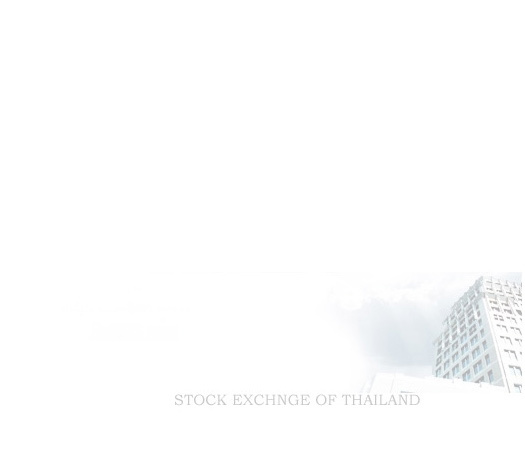 Thai Rubber Latex Corporation is a listed company in The Stock Exchange of Thailand (SET) under stock code "TRUBB". Please click here to go to SET 's web site. Thai Rubber Latex Corporation (Thailand) Public Company Limited or THAITEX GROUP has long been recognized as Thailand 's leading producer of latex concentrate. The company is totally committed to manufacturing world-class products to meet the requirements of customers in the domestic as well as overseas markets. Our products are characterized by their high quality that easily meets and even exceeds the highest international standards. We take it upon ourselves to continually strive to maintain our ability to closely match the requirements of our clients and to consistently ensure customer satisfaction. The history of THAITEX started over three decades ago in the year 1967, at Songkhla province in Southern Thailand, with the establishment of Klong Ngae Rubber Co., Ltd. (now known as Excel Rubber Co., Ltd.). From this humble beginning, alliances were made with other latex companies, such as Orient Rubber Latex Co., Ltd., Thai Rubber and Latex Co., Ltd., etc., leading to the formation of Thai Rubber Latex Corporation (Thailand) Public Company Limited (THAITEX) in 1990. 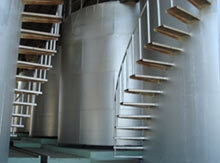 THAITEX specializes in producing latex concentrate and skim block. Thai Rubber & Latex Co., Ltd. was setup to produce natural concentrated latex in Rayong Province. Thai Orient Rubber Latex Co., Ltd. was established, having the production power of 2,400 tonnes per month. The old plant was moved from Khlong Ngae District, Songkhla Province, to Tambon Ban Phru, Had Yai District, and changed the name from Khlong Ngae Rubber Ltd. Partnership to Excel Rubber Co., Ltd. Become public and change the name to "Thai Rubber Latex Corporation (Thailand) Public Company Limited"
Today, the THAITEX group of companies consists of six latex factories as well as manufacturing plants for latex gloves, rubber thread and various rubber related products. Further diversification and forward integration of our activities has led to investment in a latex shipping terminal (Thai Tank Installation Co., Ltd.) and prevulcanized latex manufacture in partnership with Revertex (Malaysia) Sdn. Bhd.